Have you ever tried to erase a whiteboard, only to find that some f*****g c**t c********r ruined it by scribbling in d********g s**********g Sharpie? 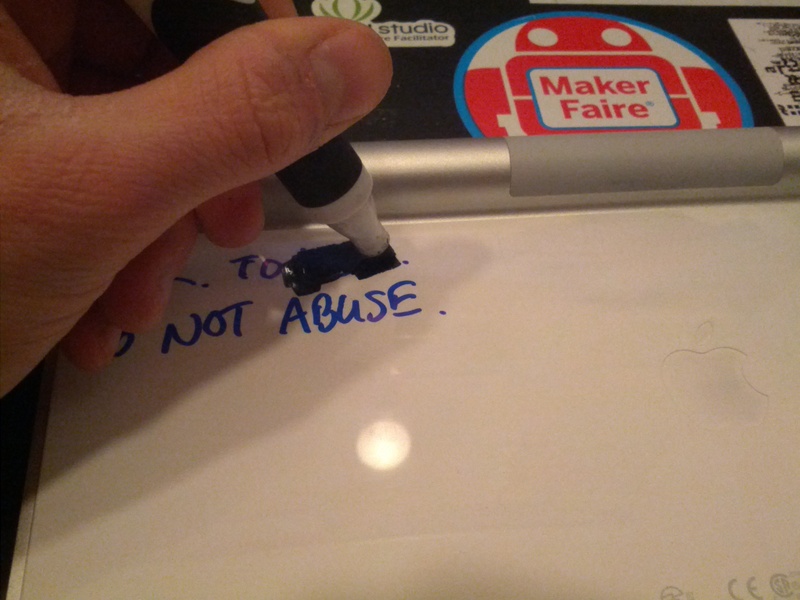 Did you know that instead of hulking out and flipping a table, you can erase it in seconds? Prepare to have your mind blown. Step 1: Find your victim. 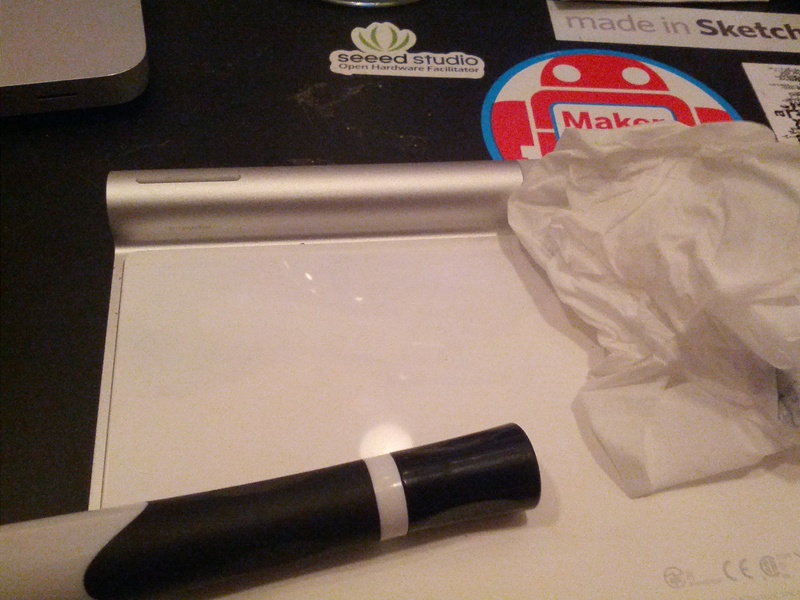 I don’t have any whiteboards with Sharpie on them because I’m not a f*****g idiot. I do, however, have this Apple keyboard I stole salvaged from the MakerBar. 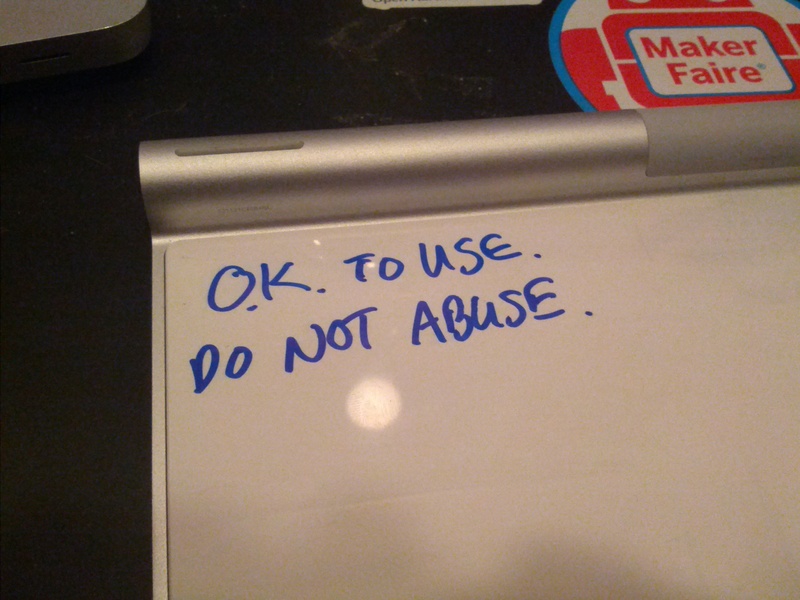 I plan to abuse it heavily, so I will erase this mark left by the previous owner to save myself the guilt. Step 2: Scribble on it with a whiteboard marker. Any brand will do. 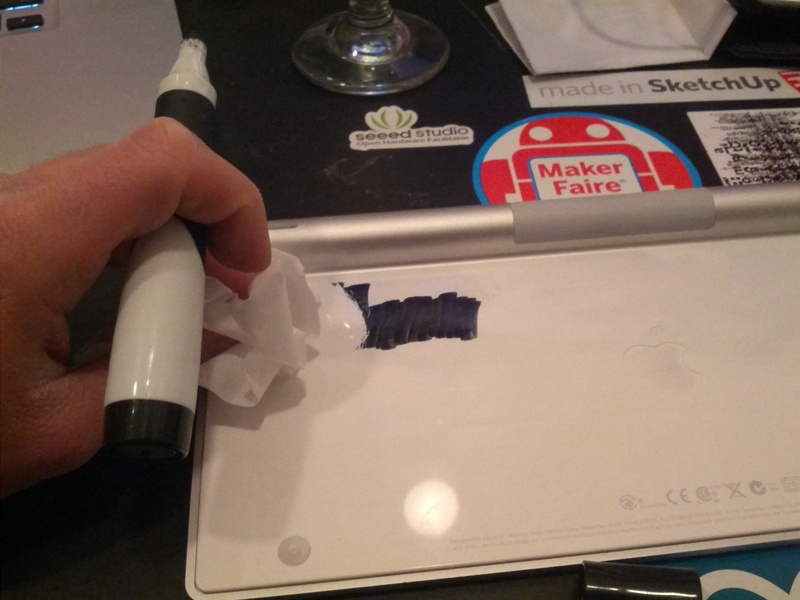 Use a fresh dry-erase marker so you can lay down a really thick, juicy ink puddle. Step 3: SCRIBBLE MOAR! Use a black marker, or you’ll permanently discolor the tip. 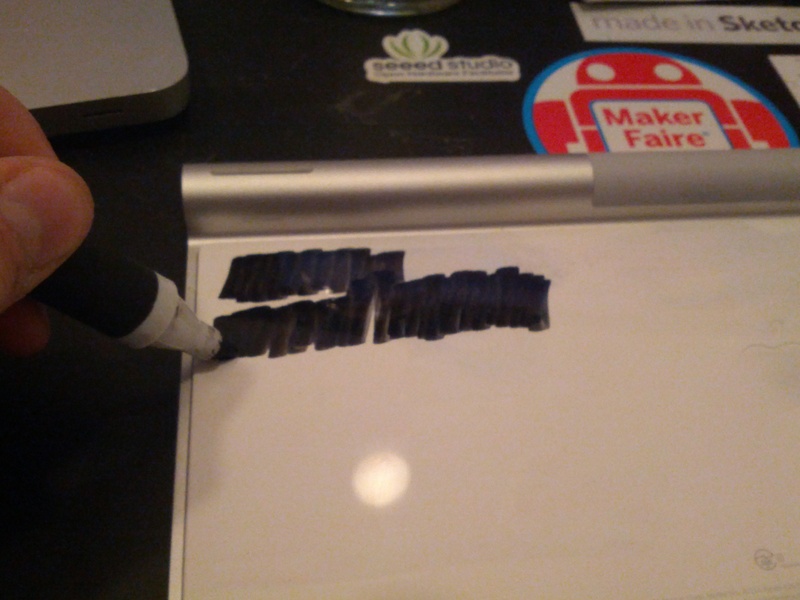 Holy crap, the ink is dissolving the Sharpie! Step 4: Destroy the evidence. Wait a second for the ink to dry and it’ll come off cleanly. Grab a tissue and purge the offending runes, leaving pristine white surface. Step 5: Admire your handiwork. You just defeated a “permanent” marker using a “temporary” marker. Think about that for a sec. Then find the guy who nearly ruined your whiteboard and shove the Sharpie up his nose.